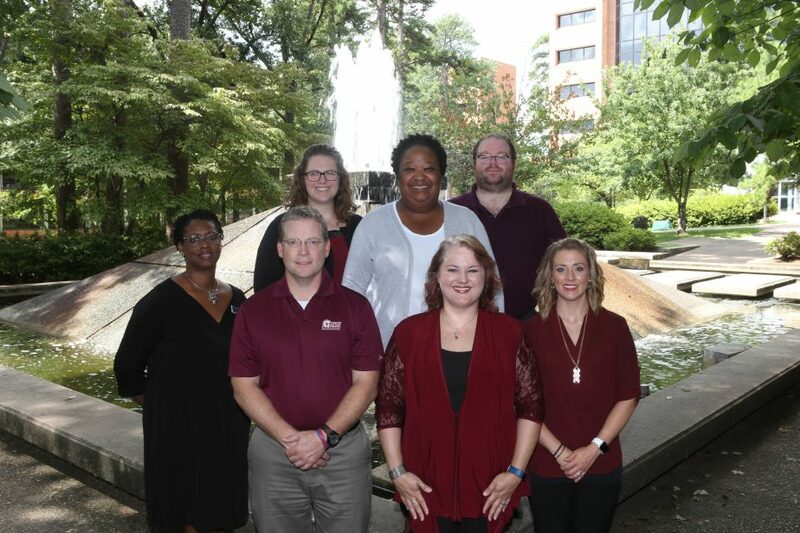 Reed Claiborne is the Director for the UALR Disability Resource Center, and has served UALR and the department since 2012. He earned his Bachelor’s in Speech Communication and his Master’s in Rehabilitation Counseling both from the University of Tennessee, Knoxville. Reed has a passion for working with students with disabilities and has presented on learning disabilities at conferences and workshops. Prior to earning his Master’s, Reed worked in the business sector and coached youth sports. In addition to working closely with students and faculty, he is the DRC liaison to the campus on accessible facilities. Connie Wordlaw began full-time as Access Consultant in March 2011. She performed both her practicum and internship at this office. She received her Bachelor’s degree in Liberal Studies and her Master’s degree in Rehabilitation Counseling from UALR. Connie is a nationally certified rehabilitation counselor, and spent a number of years in the health care industry prior to coming to the DRC. In addition to working closely with students and faculty, she coordinates the process of obtaining digital books, and is the DRC liaison to the campus on accessible programming and events. Justin oversees all technology used in the DRC, and also oversees the production of alternate formats such as digital, braille, and large print. In addition to working closely with students and faculty, he is the DRC liaison to the campus on assistive technology and accessible design in technology. Kimya is the first person most people contacting DRC will speak with. She provides information, listens to concerns, and supports students in their goal of achieving an education. In addition, she manages the DRC budget records, payroll processes, and provides a myriad of other services. Kimya was a Payroll Assistant before becoming the Office Manager for the DRC. Gwenyth’s main responsibility is to provide interpreting services for the campus community. She obtained her Bachelor’s Degree from UA Little Rock in 2003 and her Masters in Education specializing in Interpretation from University of North Florida in 2012. She has been working in the field of interpreting since 2002 in a variety of settings before joining the DRC team in February of 2017. Gwenyth is nationally certified and is actively involved with the Arkansas Registry of Interpreters for the Deaf. Ashley’s main responsibility is to provide interpreting services for the campus community. She obtained her Bachelor’s Degree from the Interpreter Education Program here at UA Little Rock in 2012. Since that time, she has been interpreting in private practice until joining the DRC team here in August 2017. Ashley is nationally certified, loves serving the interpreting community by being involved with Arkansas Registry of Interpreters for the Deaf, and she enjoys attending Deaf-Blind Camp annually.